An easy recipe for healthy, keto broccoli and cheese sauce. There’s no flour in the cheese sauce! Just heavy cream, cheddar and spices. Broccoli and cheese sauce is one of the best ways I have found to make broccoli so palatable, that even The Picky Eater would agree to eat it, while enthusiastically asking for seconds. My recipe for broccoli and cheese sauce is healthy and keto. It contains no flour. Personally, I love the simplest steamed broccoli. I think it’s good all by itself, with just a sprinkle of salt and pepper. It’s even better with olive oil, lemon juice and garlic. But some people (ahem, I’m looking at you, dear daughter) need butter and/or cheese on their broccoli to make it palatable, and that’s fine. 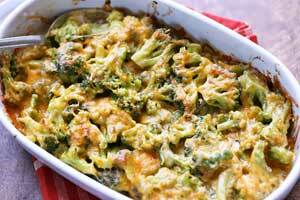 I often make a very tasty broccoli casserole, a pizza-inspired casserole that we all love. So, how do you make cheese sauce for steamed broccoli? 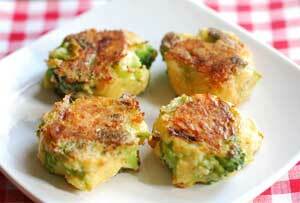 Broccoli and cheese sauce is another great way to make your kids (or picky eaters of any age!) love broccoli. It’s an easy recipe – steam the broccoli in the microwave; quickly heat up the cheese sauce – it takes all of 5 minutes to be ready – and pour the cheese sauce over the broccoli. Do I need to add flour to the cheese sauce to thicken it? I’m not sure why the classic broccoli and cheese sauce recipe requires flour. I find that this no-flour cheese sauce is excellent. It’s rich, creamy, and its thickness is perfect. With no flour, this cheese sauce is keto and gluten-free. I use heavy cream in the cheese sauce. You can try using whole milk instead, although the sauce might be too thin if you do that. I did receive a couple of emails complaining that the cheese sauce in this broccoli and cheese sauce recipe turned out too thin. I’m not sure why that happened. It never happened to me. One way to thicken the sauce is to simply add more cheese. Alternatively, mix a teaspoon of organic gluten-free cornstarch with a teaspoon of water and add that to the cheese sauce. Increase the heat to medium, to get the sauce to gently bubble, and mix until it thickens. I prefer cornstarch over flour because it’s gluten-free, and you can use less of it, so you don’t taste it in the sauce. I believe it is. Broccoli is obviously very healthy. As for the cheese, recent research tells us that for most healthy people, full-fat dairy is harmless, and might even be beneficial. If you’d like to enjoy fresh broccoli while avoiding cooking, try this super fresh and tasty olive oil broccoli salad. And the absolute easiest way to prepare broccoli is to make microwave broccoli. It’s easy, and delicious. An easy recipe for healthy, keto broccoli and cheese sauce. There's no flour in the cheese sauce! Just heavy cream, cheddar and spices. Steam the broccoli florets until crisp tender, about 4 minutes. Meanwhile, add the cream, Dijon mustard, garlic powder and cayenne to a small saucepan. Whisk to combine. Heat the cream mixture over medium heat. When the cream starts to bubble around the edges, lower the heat to medium-low. Stir in the shredded cheddar, 1/3 at a time, stirring it in with a rubber spatula until it is completely melted. If you feel that the cheese sauce is too thin, you can add more cheese. Or mix a teaspoon of organic cornstarch with a teaspoon of water, add to the sauce, increase the heat to medium so that the sauce starts to gently bubble, and mix until thickened. Pour the cheese sauce over the steamed broccoli and serve.